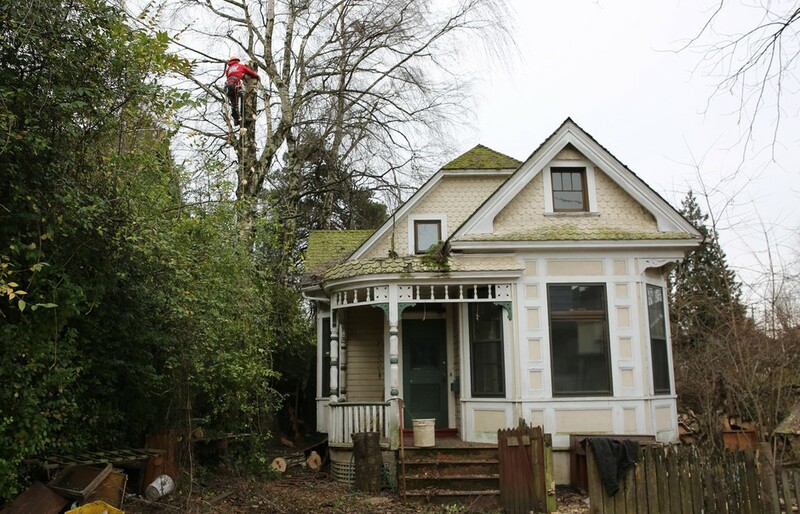 An arborist removes a tree to prepare the lot for the removal of the Mayo house and the construction of new town homes. 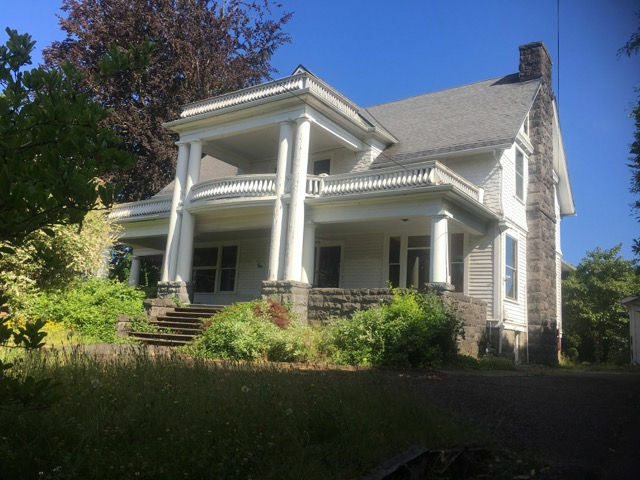 “I thought, ‘I could save the house,’” said Cleo Davis, an artist who lives just a few doors down.The Mayo house appealed to him because demolition and lost opportunities are a big part of his family’s story — and part of the African-American experience in this part of Portland. Ballestrem’s just-released book, “Lost Portland” (The History Press, $21.99), highlights grand structures that have disappeared from Stumptown over the years. The book certainly will cause readers a pang or two of wistfulness, for Portland has lost its fair share of irreplaceable landmarks. November 30th at 10:00 a.m.
Crackedpots Holiday Shop encourages shoppers to reconsider the disposable nature of the season with thoughtful alternative gifts made from reclaimed materials! Crackedpots Holiday Shop features fine art and craft by 40 local artists that utilize and upcycle waste materials. Artwork in a variety of media will be on display and for sale including: metal, textiles, jewelry, assemblage, wood and collage. Crackedpots Holiday Shop encourages shoppers to reconsider the disposable nature of the season with thoughtful alternative gifts made from reclaimed materials. Crackedpots (crackedpots.org) is a small environmental art nonprofit in whose mission is waste reduction through reuse. 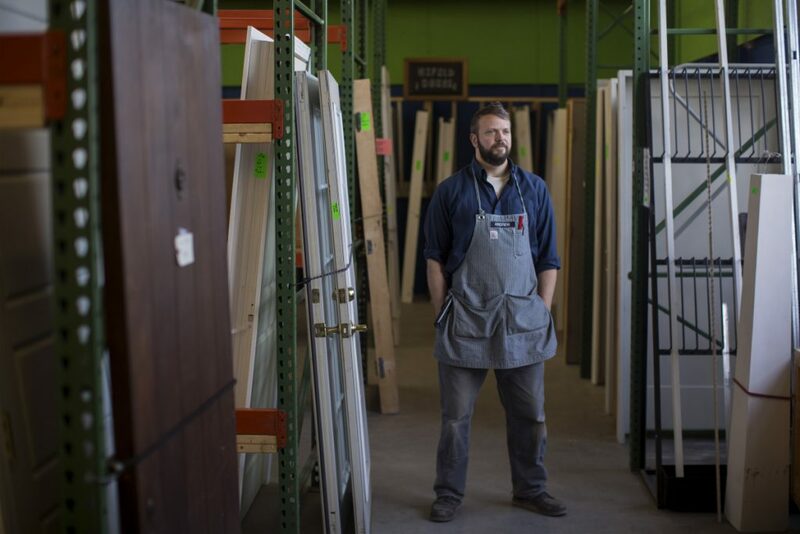 This year this humble organization has quietly made a stunning leap forward for the reuse industry, by opening a retail store in a major mall in Portland, Oregon. The Crackedpots Holiday Shop carries local, handcrafted products that are exclusively made from a minimum of 80% reclaimed materials. Recovered waste materials are transformed into furniture, lighting, fixtures, clothing, accessories, fine art, and craft. Items are made from salvaged metal, glass, textiles, jewelry, assemblage, wood and plastics. By selling only reclaimed products in a major shopping center for the holidays, Crackedpots is mainstreaming the reuse market by leaps and bounds. The ReTuna Återbruksgalleria mall in Eskilstuna, Sweden is the only other known mall retail outlet pioneering exclusively reclaimed goods. This unique organization has less than ten employees, working part time. The operating budget is under $100,000. They have three programs, the annual Reuse Art Show, the GLEAN art show, and ReClaim It! salvage store. 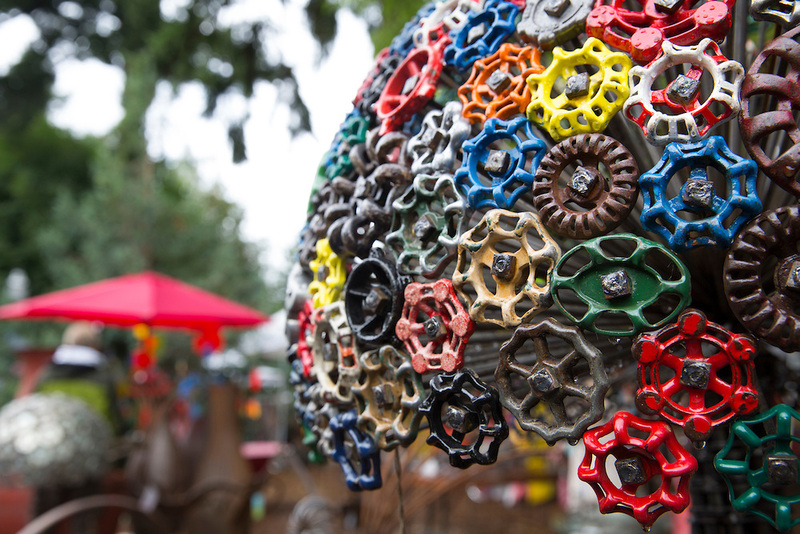 This summer’s 19th Annual Reuse Art Show converted over 20 tons of waste into retail products. Since 2014 Cracked Pots has diverted 413,310 pounds from the Metro Central Transfer Station. 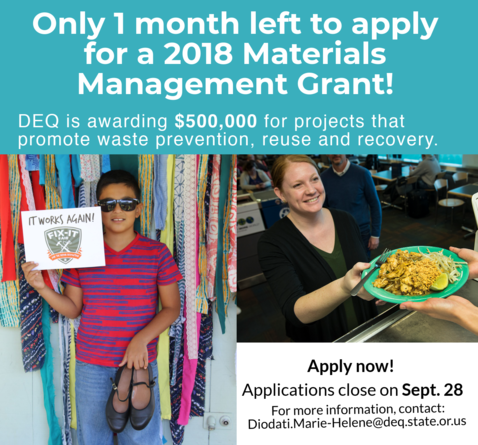 The Oregon Department of Environmental Quality’s Materials Management program offers grants that promote the prevention, recovery or reuse of solid wastes. The wall art is made using reclaimed wood from older homes in Portland, OR and the surrounding area. Some of the pieces are primarily made from reclaimed lath and plaster. 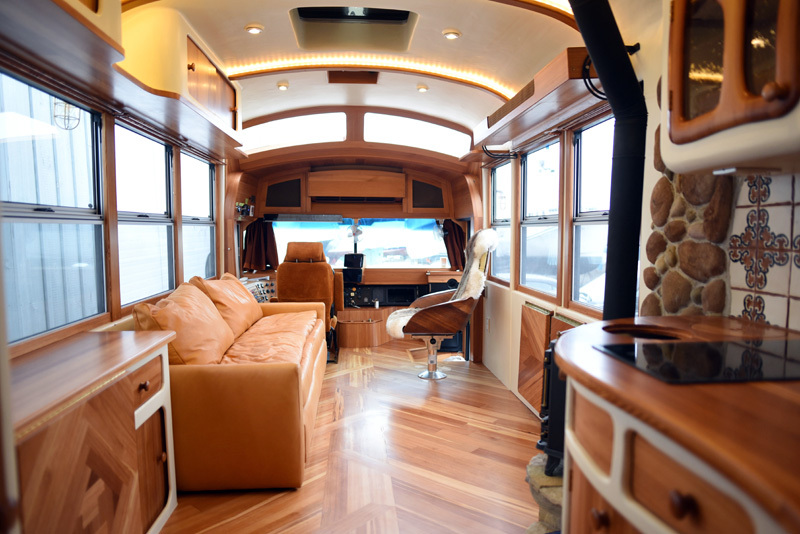 Each piece of wood is carefully selected by it’s color, texture, and character during the arrangement of the design. Months and months of long working days….over 6000 pieces sawn to perfection….Buildin’ Manhattan! Kraaijeveld created a 10 feet long Manhattan in wood, special wood: red cedar from Manhattan water towers. Shipped in a sea freight container from New York City to the Netherlands. One day the piece will be back in New York……. Looptworks CEO Scott Hanlin said they collected more than 350,000 pounds of uniforms. Anything that’s still high quality was donated; anything that didn’t fit the bill was modified. “That’s what Looptworks does really well, is working together with companies to get zero waste to landfills and repurpose a lot of those materials,” Hanlin said. Now in its eighth year, GLEAN was created to help raise awareness about our consumption habits and inspire new ways of looking at trash as a resource. 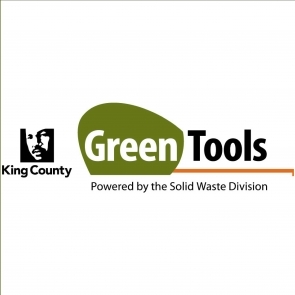 The program is a partnership between Metro, the government that manages the greater Portland area’s garbage and recycling system; Recology, a company that manages garbage and recycling facilities; and crackedpots, a local environmental arts nonprofit. Artists are selected each year by a jury of arts and environmental professionals. Inspiration often arrives in unexpected packages. See how five local artists – Carolyn Drake, Liz Grotyohann, Benjamin Mefford, Brittany Rudolf and Eduardo Cruz Torres – transformed an unpredictable stream of trash from the Metro Central transfer station into art. 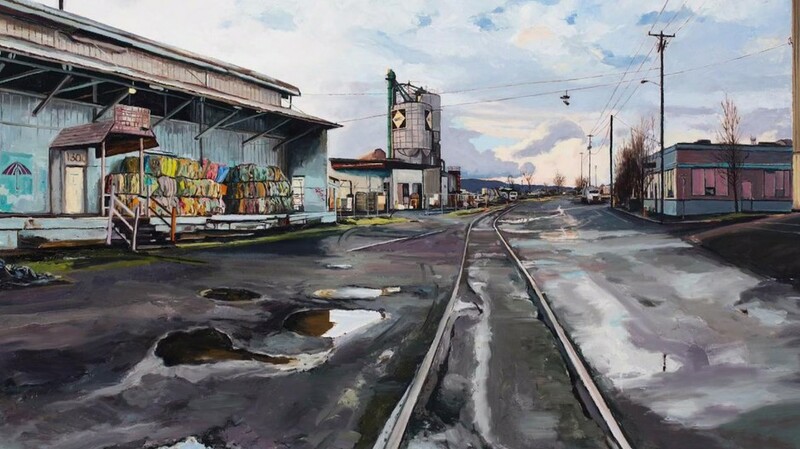 Their works will be on display and sale at the Bison Building, 421 NE Tenth Ave., Portland. 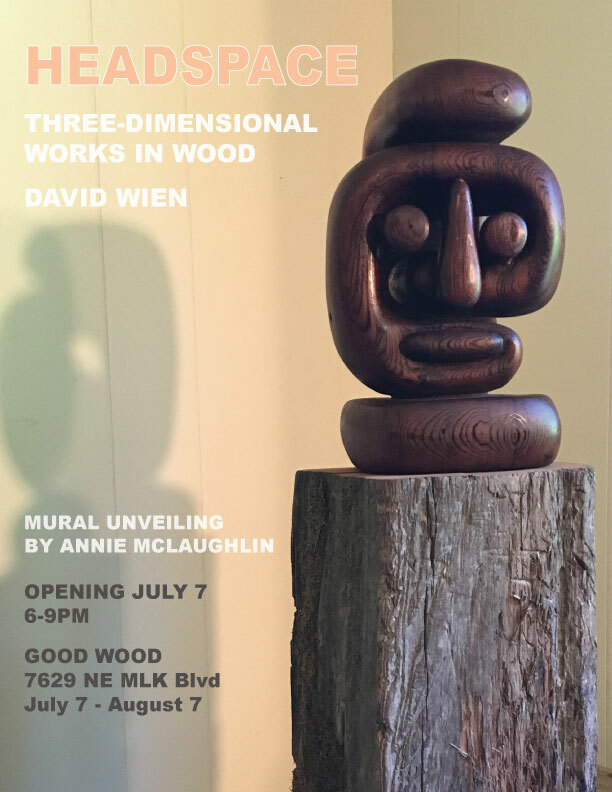 Opening reception from 6 p.m. to 9 Friday, Aug. 3. Ends Aug. 25. Gallery hours: Friday through Sunday, noon to 5 p.m. More details at Gleanpdx.org or 503-278-0725. This popular summer event showcases more than 100 artists’ creations made of recycled, found or discarded materials. Wander the grounds next to our Little Red shed, and ponder booths containing everything from bird feeders to furniture to sculpture, wearable art and beyond, which will be on display and for sale. 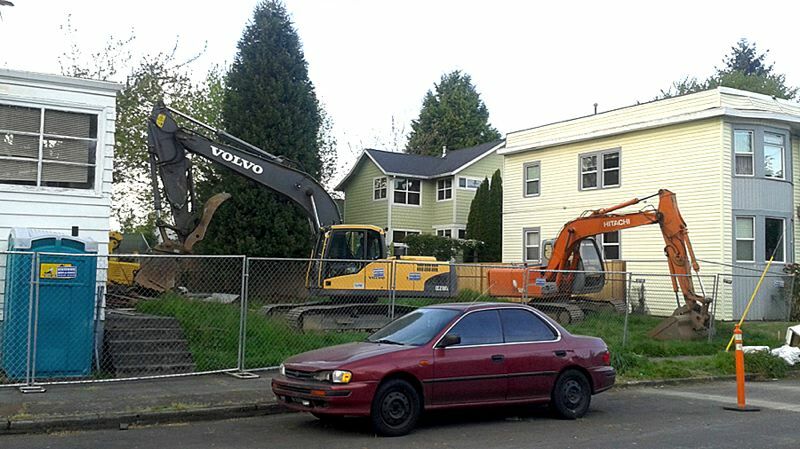 In the past 18 years, more than 3,300 single-family homes in Portland have been demolished, according to demolition data published online by the Portland Bureau of Development Services. 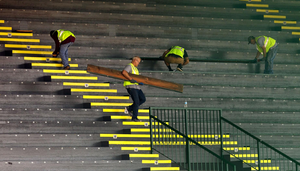 In a first step toward dismantling the 93-year-old grandstand, workers removed original seat boards and placed them in a truck. The salvaged Douglas fir bleacher seats are among numerous items that are to be reused in a modern stadium that is to be built on the same site as Hayward Field in time for the 2021 World Track and Field Championships. Investment and Innovation grants Investment and Innovation grants support efforts to reduce waste through reusing, recycling, composting or making energy from the stuff that is discarded in greater Portland. “We are now working with a Portland-based company, converting small storage containers into different types of uses, from mobile workstations to event kiosks (or) sales booths. We are doing one for a mobile trade show booth and another for a mobile coffee shop,” Tatro said. Freedom Moreno is a Certified Deconstructionist with the Building Material Reuse Association. 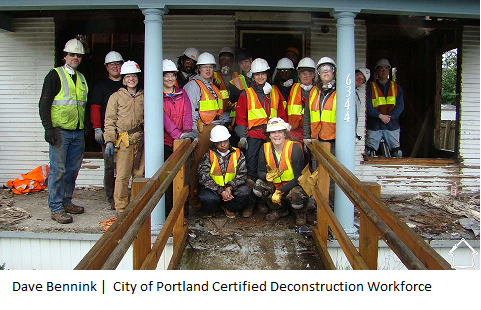 She was in the first building deconstruction certification class for the City of Portland, Oregon. She is also an Alumni of Oregon Tradeswomen Inc.
Freedom pioneered as the first women and woman of color, to be a lumber specialist for Aurora Mills Architectural Salvage. 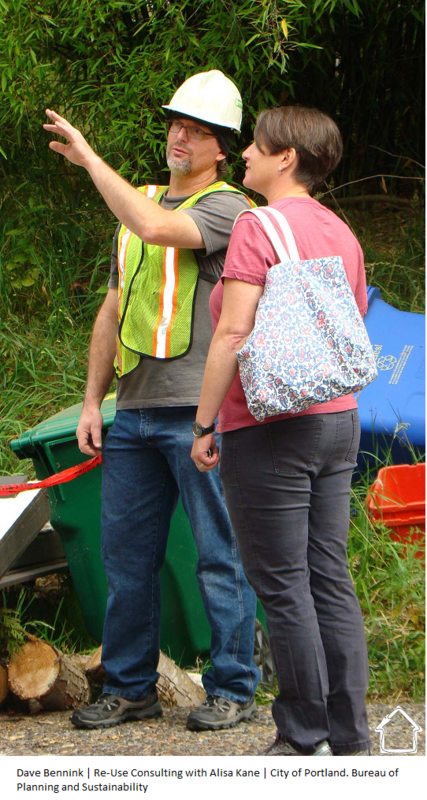 Simon is the reuse and repair specialist at Oregon DEQ, leading the implementation of DEQ’s strategic plan related to extending the lifespan of products through reuse, repair and improvements to product durability. Go see Caleb Ruecker’s landmark demolition photography in the Clinton Neighborhood – last day today! The introduction of new sections and criteria such as: A section dedicated to Site and Building Resilience. A section on Resource Conservation addresses minimized use of raw materials and encourages designing for deconstruction. Even in its glory days, the planetarium-shaped house built by a mime in 1978 out of WWII aircraft carrier parts and other salvaged materials could best be enjoyed by people who appreciate theatrical curves and the unconventional. The Morris Marks House was built in 1880 based on designs by architect Warren Heywood Williams. 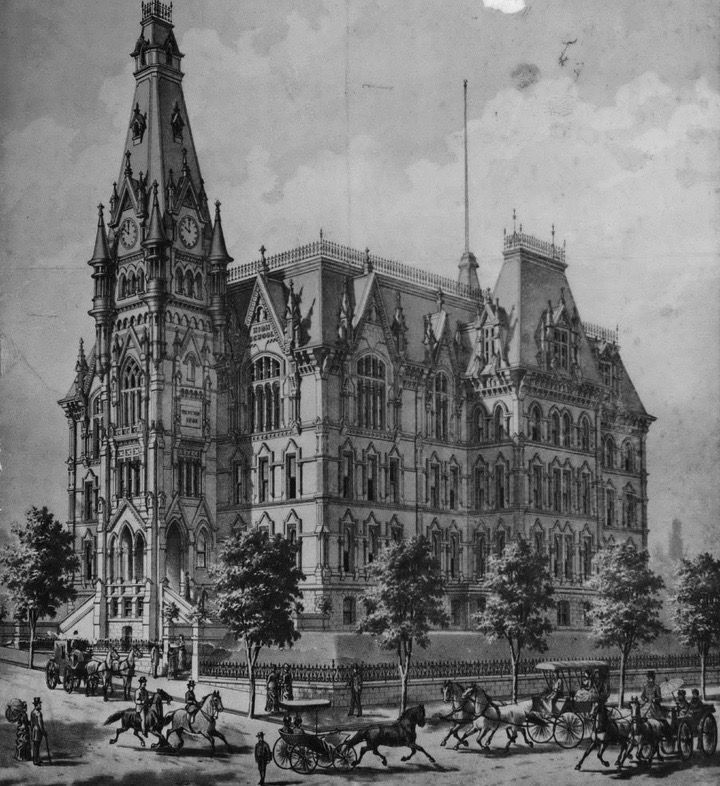 The mansion, commissioned by a Polish shoe merchant, was originally located at 1134 S.W. 12th Ave.. It was moved in two pieces at a cost of about $440,000 in September 2017 to a vacant lot near the Interstate 405 interchange at Southwest Broadway and Sixth Avenue. From above, Meyer’s new property, 2045 N. Vancouver Ave., overlooks Interstate 5, grain elevators along the Willamette River, the Broadway and Fremont bridges and the skyline of Northwest Portland. An existing cinder block and metal sheet structure is in poor shape and will be removed, but timber supports inside will be creatively reused in the new design. ONE WEEK LEFT TO APPLY TO REUSE ART/MAKER SHOW IN PORTLAND, OREGON! Crackedpots 19th Annual Reuse Art Show! The 2018 cracked pots Art Show will be taking place on August 14th and 15th at McMenamins Edgefield in Troutdale, Oregon. Reuse Artists and Makers Applications will be taken until March 31st. We are pleased to announce that the 2018 cracked pots Art Show will be taking place on August 14th and 15that McMenamins Edgefield in Troutdale, Oregon. Reuse Artists and Makers Applications will be taken until March 31st. 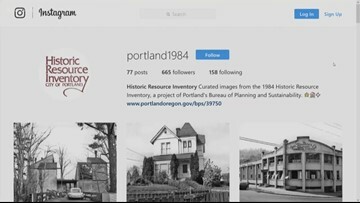 “Originally, the goal was to begin at 1916 in Phase I, then move to 1926 as a next step and eventually include housing built before 1940 by the year 2019.” Wood said the advisory group realized that it would be “bad timing” to increase the number of structures covered too quickly, so the 1916 date will hold firm for the foreseeable future, as demolition procedures are tightened. There are over 800 ReStores in the United States, Smith said, most operating on a county-by-county basis. 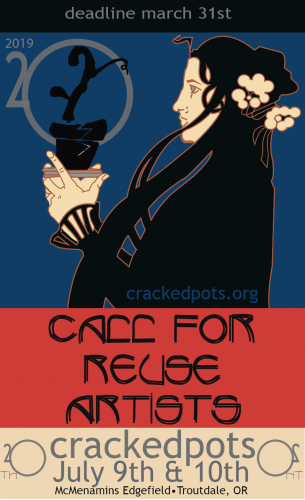 Crackedpots Call for Reuse Artists Application Deadline March 31st. Criteria. Our flagship material is a show-stopping mix of dense Asian hardwoods that arrive in Portland as transpacific shipping crates carrying steel railroad track. Designers love the long lengths, punctuated by vertical jet black lines where the tracks sat on the crates. We reclaim this wood ourselves, to rescue it and give it new life in Jakarta Paneling. Join us to see the finished redesign of the benches that have seated millions of Portland’s finest butts. Collaboration design teams will be announced the first week of March on our website and instagram. Collaborators Sign-Up Deadline Feb. 26th @ 6pm (sign-up and info at www.PDXoriginals.com/DWP18) This is for the aspiring or profesional furniture designer inside us all. Makegood is a collective of makers dedicated to giving new life to the discarded and reimagining salvaged materials. A portion of the sales of makegood artwork is donated to various non-profits including crackedpots.org and animal rescue organizations. GLEAN is accepting applications for 2018 from artists residing in Multnomah, Washington and Clackamas counties. GLEAN is a juried art program that seeks to inspire people to think about their consumption habits, the waste they generate, and the resources they throw away by tapping into the creativity of artists from the Portland metro region. Five GLEAN artists will be given access to the Metro Central transfer station (“the dump”) for five months to glean materials to make art. The program culminates in a formal exhibition in the fall. Artists will be paid a $2,000 stipend and receive 80% commission from the sale of their art at the exhibition. 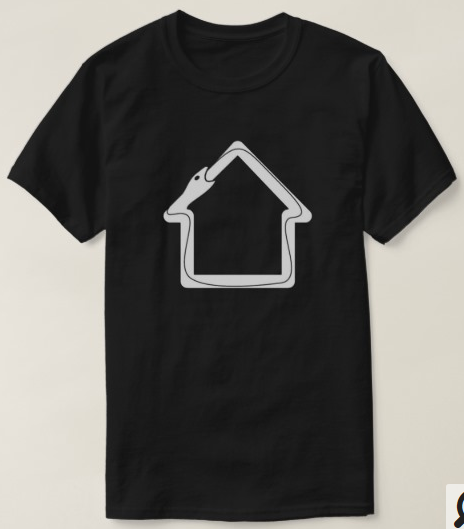 Three houses are the focus of the petition. Photos from petition website. “Classic style defines what exists in the neighborhood today, and your plans will amount to an architectural bomb disrupting a consistently historic street,” the petition says. A bent lamination table lamp made to order from the industrial waste of skateboard manufacturing. 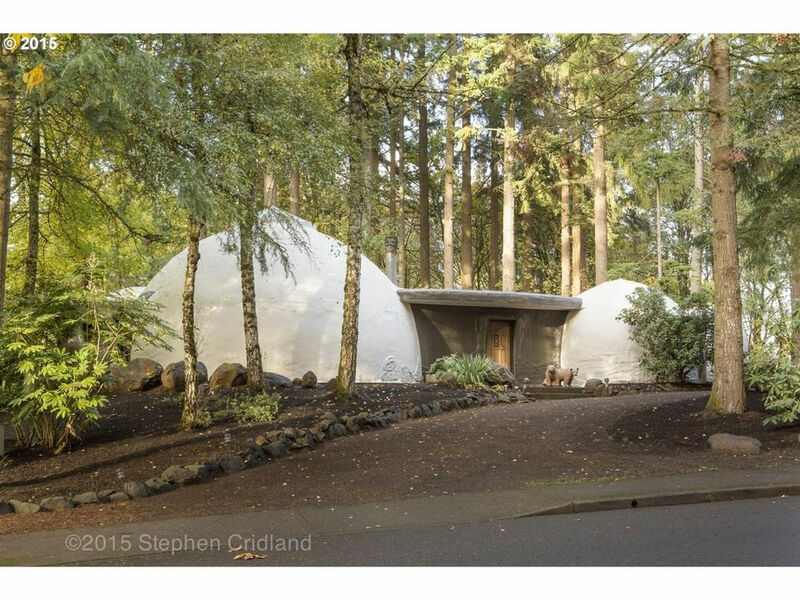 Designed by architect Richard Shugar of 2Form Architecture, this tasting room in Oregon was completed in 2013. 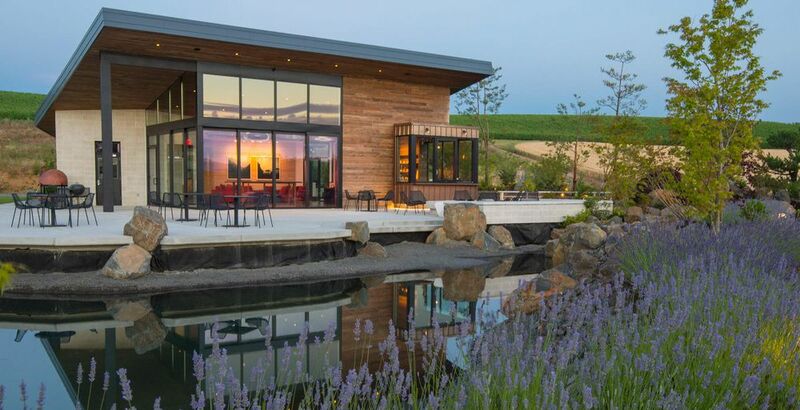 Originally on the site of a dairy farm, the winery’s new building uses reclaimed materials from the old barn and sits on a hill with panoramic views. A small patio cantilevers over a pond that laps against the south side of the building, and guests can enjoy wine on the expansive patio. Sloping roof planes extend from the building and also allow rainwater runoff to be collected for irrigation and to fill up the adjacent pond. 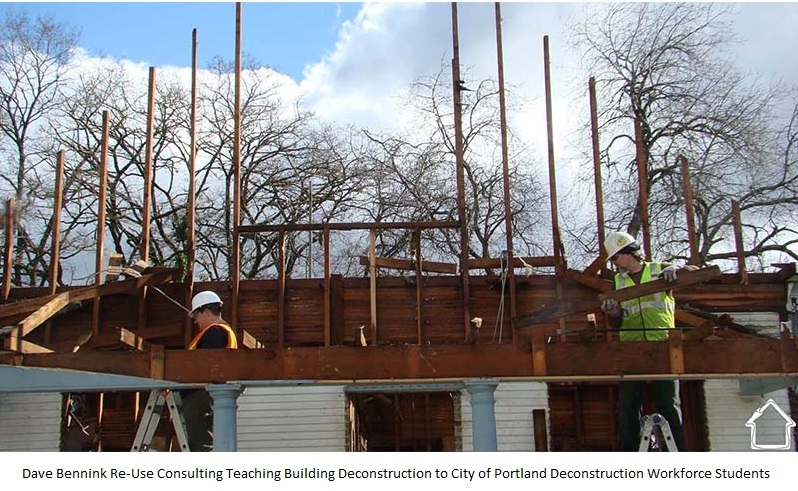 COURTESY PHOTO: PORTLAND CHRONICLE – Builder Peter Kusyk began demolition of a Northeast Portland church in April. Kusyk’s Firenze Development has faced off with neighbors of a Northeast Porltand bungalow because of concerns about lead in the demolition dust. The problem was, as neighbors were to learn, the letter referred to lead levels in water running off a landfill. 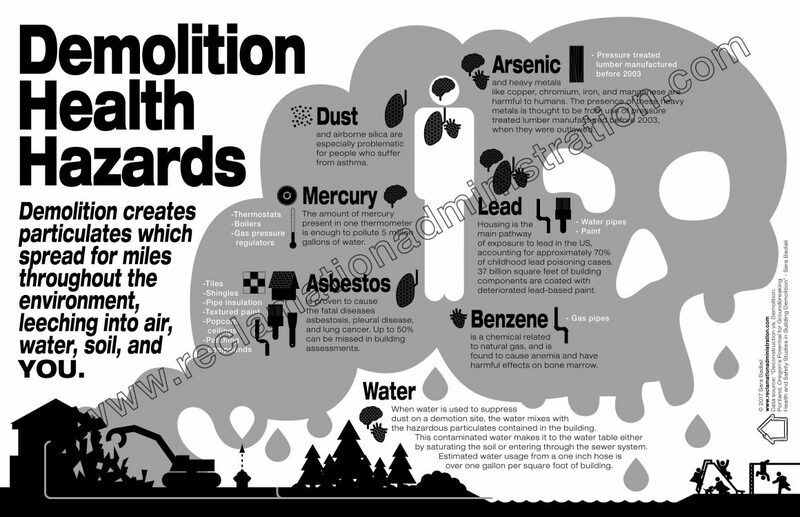 It had nothing to do with lead dust flying from a demolition. Imagine you are packing your car for a trip. You can only move your gear once, but you still have to maximize space. Sound difficult? Now imagine you have to do it with a stranger’s gear. That’s what Dave Bennink of Re-Use Consulting has been doing almost every week for the past 25 years. But instead of gear, he does it with entire dismantled buildings. Dave’s expertise is in disassembling structures, staging the components for transport, and then moving them to be resold. Dave deconstructs buildings for reuse. He’s dismantled 1,000 structures, in 42 states and 4 providences. He is a master of spatial problem solving. The materials are so big and take up so much space on site that they can only be moved once. 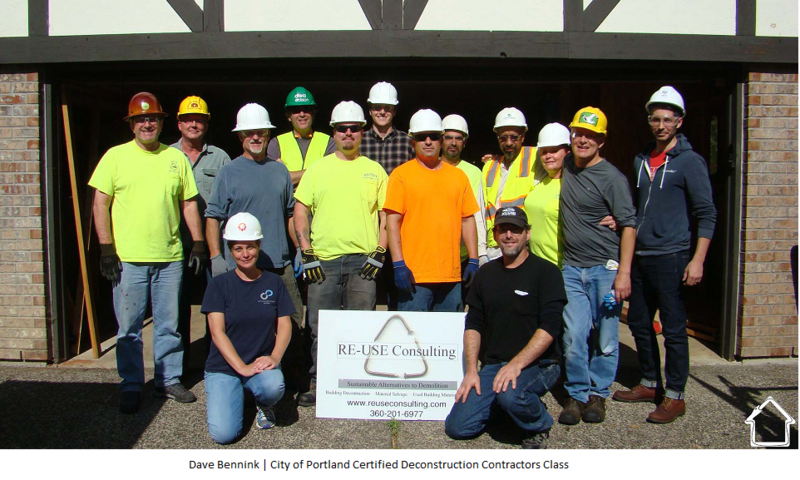 Dave Bennink’s extensive knowledge and experience meant that when the City of Portland passed their new Deconstruction Ordinance, they asked Dave to train the City’s first Certified Deconstruction Contractors. 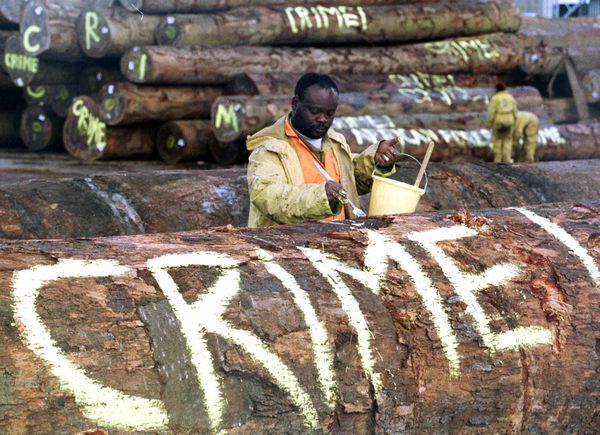 They also tapped him to train and certify a new deconstruction workforce. In addition to his own business dismantling structures, Dave is a certified Deconstruction Trainer for the Building Material Reuse Association. He’s done trainings for the City of Seattle, Vancouver, other municipalities, numerous small businesses and organizations. Students are drilled in safety, technique, material recovery, recycling, diversion equations, staging and selling materials. All of the lessons take place in the actual building the students are deconstructing. It is a common site to see Dave drawing out waste diversion calculations on the interior walls one day, and the next day the walls are gone. 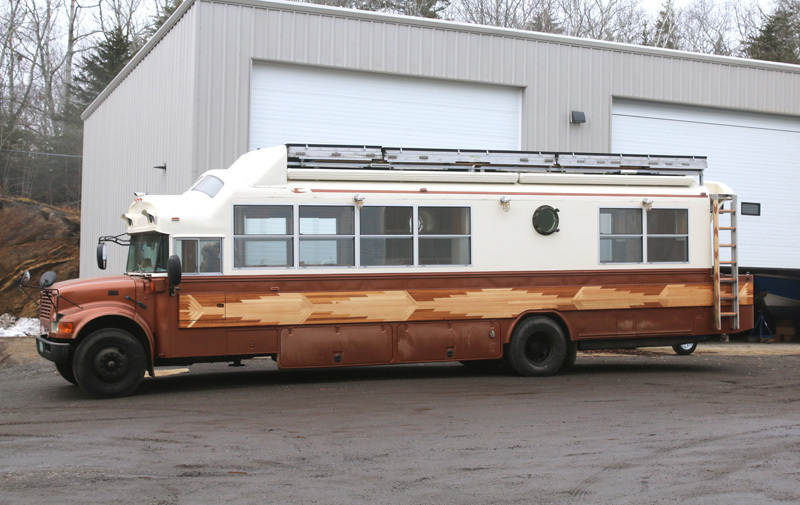 If you ever buy reclaimed materials with calculations on them, you may have just purchased a piece of one of Dave’s many classrooms. 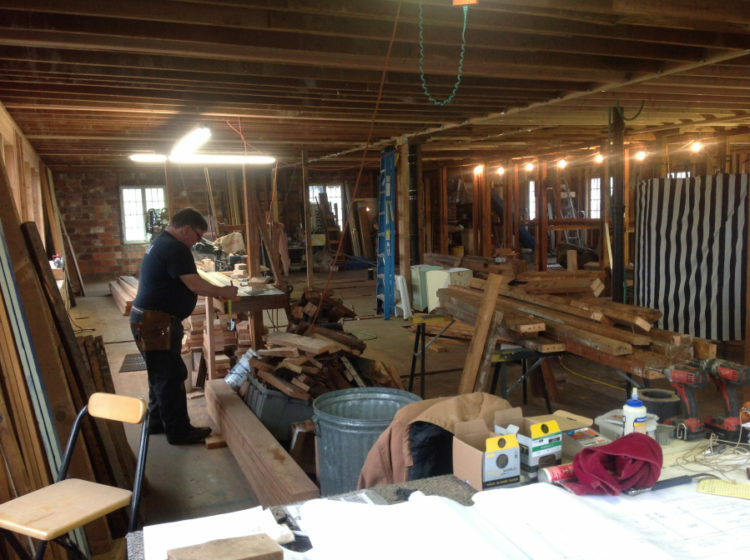 Along with his own business, and deconstruction training, Dave also is a consultant for reclaimed building material reuse start-ups. Guiding entrepreneurs with reuse business planning, deconstruction jobs, and marketing used building materials is Dave’s passion. He is happy to help new converts into the world of environmental stewardship, job creation, community building, and healthy alternatives to demolition. His motto is “Say no to the track hoe”. 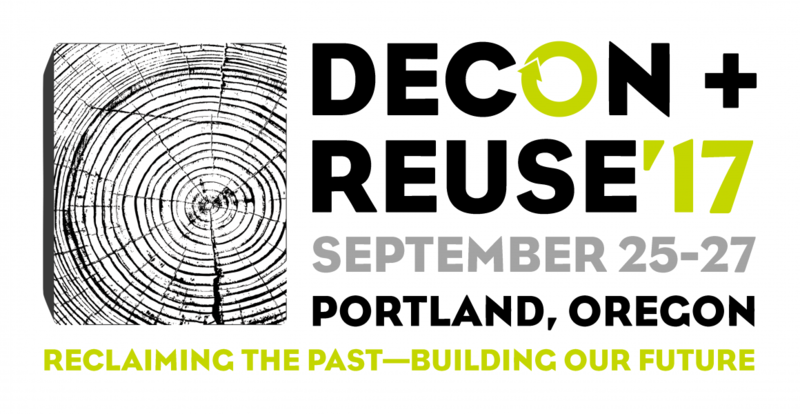 If you are interested in meeting Dave Bennink you can see him present twice at the Decon + Reuse ’17 Expo: Saving Our Past, Building the Future conference in Portland, Oregon on September 24th-27th. Dave will be on a panel with some of his certified deconstruction students. He will also be speaking on the basic principles of starting a reuse business (including spatial acumen). Dave will be presenting at the Decon + Reuse ’17 Expo with over 50 other building material reuse experts, and hundreds of participants. This is the largest building material reuse event in the country and is being hosted by the City of Portland, Metro, the Reclamation Administration, and Portland State University’s Institute for Sustainable Solutions. Dave Bennink owns and operates Re-Use Consulting, which you can find it at ReuseConsulting.com. Or contact him at re-use@comcast.net or (360) 201-6977. 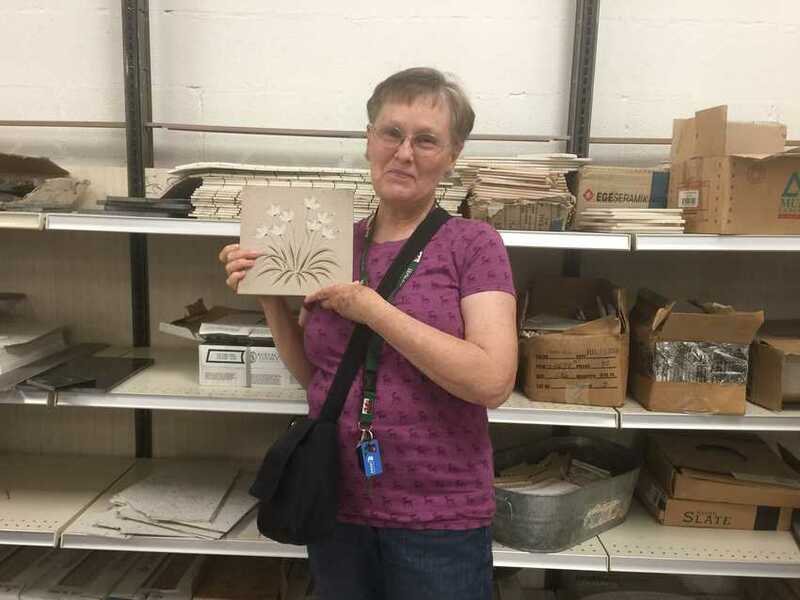 Mary Reese hunts for tile at the new Habitat for Humanity ReStore in Gresham. Jacobson compares shopping for salvaged building materials to thrift or vintage shopping, and advises shopping early and often. “Stock changes from day to day and quantities can be limited,” he says. 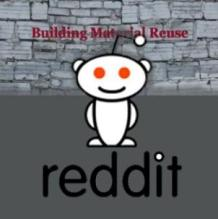 “The list of stores is growing and that makes it easier to find what you need, but the region’s supply chain for used building materials is still a work in progress” Also, he says, find a contractor willing to work with you, one who’s willing to deconstruct and salvage materials, as well as incorporate reused items into the new space. Last chance for earlybird pricing + outstanding keynotes + book your hotel now! Fireworks Flash Sale Thru Friday! In keeping with a celebratory week, we’ve created a special sale and brought back earlybird pricing on Decon + Reuse ’17 for five days only!. Register today to lock in the savings, or wait til Sunday and help donate a bit extra to the BMRA. We have locked down two really outstanding keynote speakers for the conference. On Monday September 25th, Adam Minter will kick off the conference speaking to the globalization of reuse and recycling markets. Then on Tuesday we’ll hear from Jim Lindberg of Preservation Green Lab on how reuse is a key tool of re-urbanization and future building. The low low pricing that we managed to negotiate at two hotels in Portland expires on 7/24/17 – book your rooms today! The Reclamation Administration has made a lot of friends over the years. We are proud to say that over a third of the speakers for Decon + Reuse ’17 Expo: Saving our Past, Building the Future are from our invitations. These presenters have all been featured on the Reclamation Administration going as far back as 2011! Here is a list of Presenters brought to you by the Reclamation Administration. You can see them all in Portland, Oregon on September 24th – 27th at the Decon + Reuse ’17 Expo.